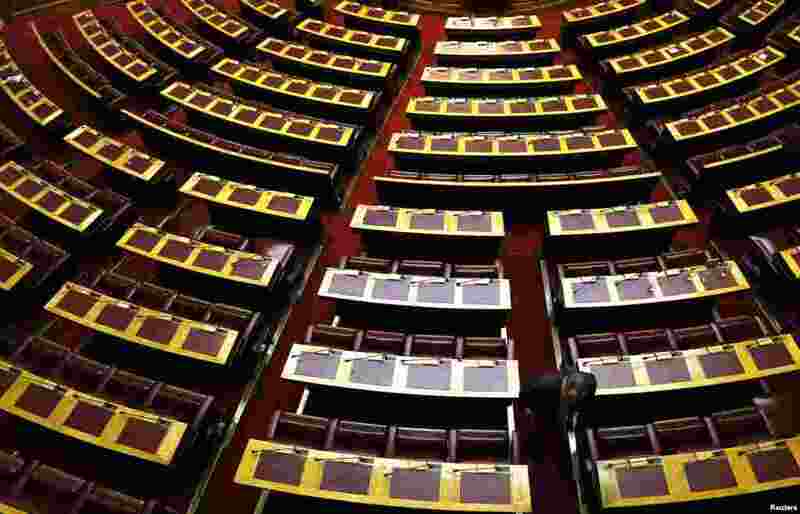 Greece's parliament has failed for the third time to elect a new president, setting the stage for early general elections. 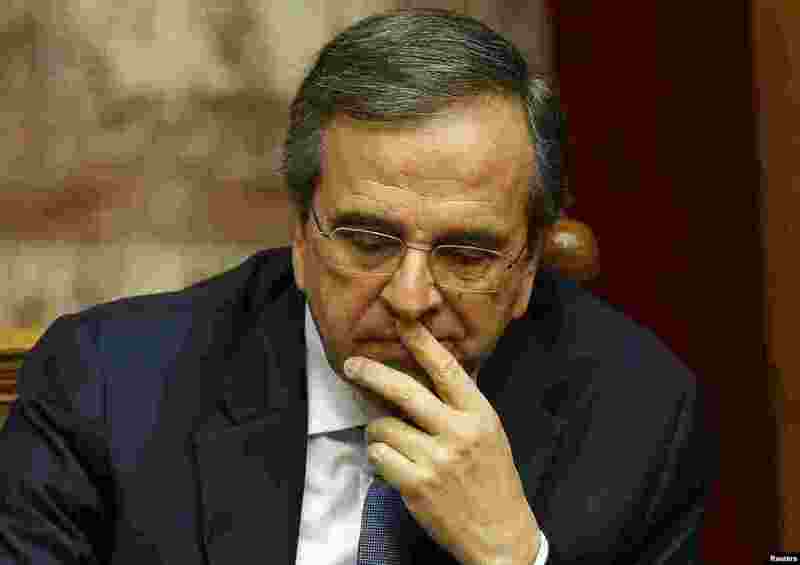 1 Greek Prime Minister Antonis Samaras reacts in parliament during the last round of a presidential vote in Athens, Dec. 29, 2014. 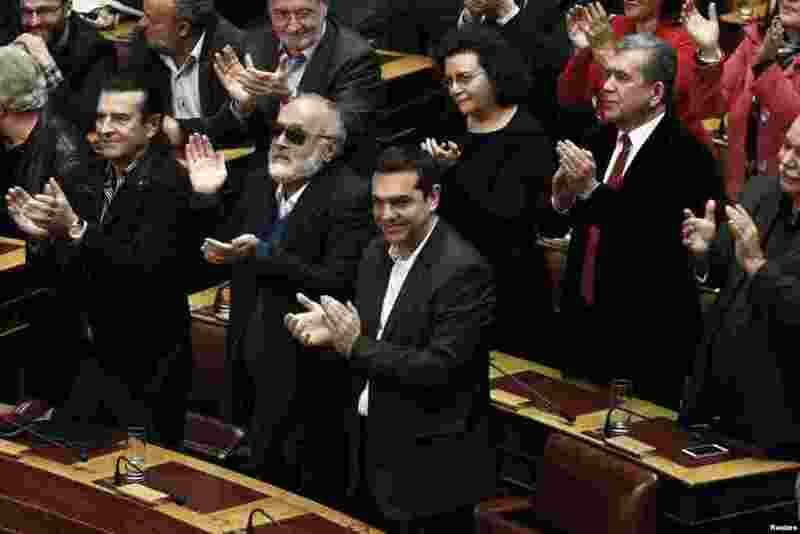 2 Alexis Tsipras, opposition leader and head of radical leftist Syriza party, and his party's lawmakers applaud after the last round of a presidential vote in Athens, Dec. 29, 2014. 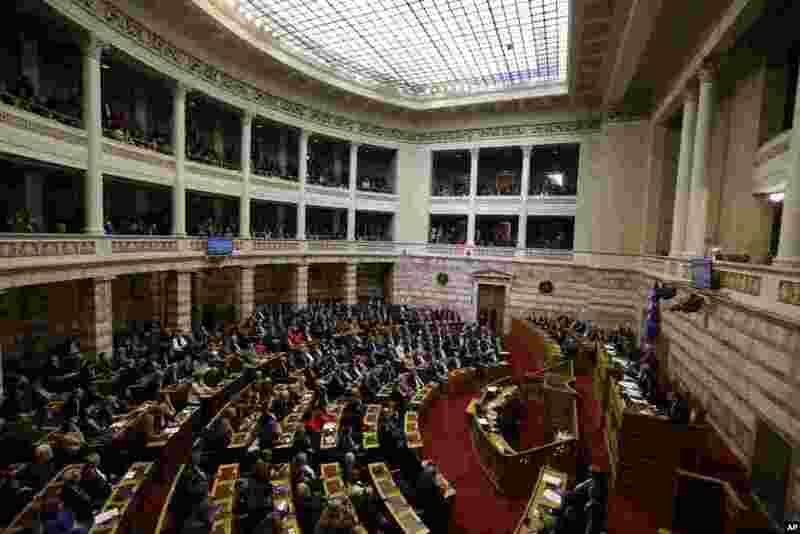 3 Greek lawmakers attend the third round of voting to elect a new Greek president at the parliament in Athens, Dec. 29, 2014. 4 The last of 300 lawmakers departs from the main parliament hall after the last round of a presidential vote in Athens, Dec. 29, 2014.